Kogure is with Tooma and Umika placing the latest Piece in his book. 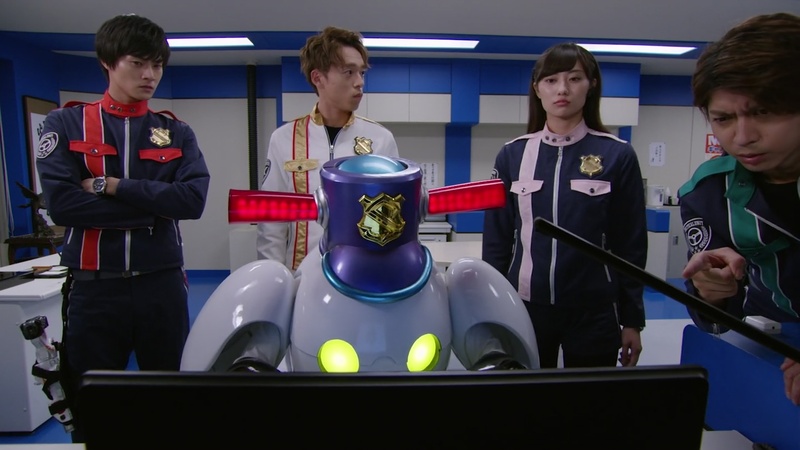 Tooma and Umika try to keep it cool by not letting Kogure in on their Zamigo hopes. After Kogure leaves, they wonder what’s up with Kairi as he’s been disappearing off by himself lately. Tooma and Umika decide to follow him one day, but they lose him when they get to the bridge at the wharf. Just then, a Gangler attacks nearby so they hurry over. They find Dugon Manattee who shows he has done his research on the Lups and Pats. He introduces himself before unleashing a fog using his Piece. He then zaps Tooma and Umika with a beam before he leaves in the fog. They don’t seem to feel anything different. But they begin to worry that they left the gas on or didn’t lock up back at Jurer. Over at the GSPO, Jim Carter shows the Pats a rendering of Dugon Manattee who has been attacking people the last day. Noel brings the rendering to Tooma and Umika who both worry Dugon Manattee is the reason Kairi is acting weird. Down in the underworld, Dugon Manattee continues his research so he can successfully defeat the Lups and Pats. Dogranio commends Dugon’s extra effort and knowledge. Next day at Jurer, Kairi again sneaks out and Tooma and Umika try to follow him again, this time with Noel. First, they see Kairi seemingly flirting with an older lady. Umika worries Kairi will marry her, have kids, get a divorce and then grow old alone with no money. Next, they follow Kairi to a fancy restaurant where he enjoys the food. Tooma thinks Kairi is going to overeat to the point that his stomach triples in size and will get popped by a woodpecker causing him to explode and die. Then, they follow Kairi to a bookstore. Tooma and Umika worry that he’ll meet the older lady from earlier who actually is an international assassin who wants to kill him only for him to get stuck at the restaurant where he’ll overeat to the point that his stomach is so big that a woodpecker will peck at it, causing him to explode and die. Noel wonders what the hell is going on with Tooma and Umika. They continue following Kairi and again lose him at the wharf. Good Striker flies in and they think he’s a woodpecker who’s going to pop Kairi’s huge stomach. But Good Striker just wants to inform them of Dugon Manattee blowing up buildings nearby. Tooma, Umika and Noel hurry over to confront Dugon Manattee. Tooma and Umika want to know what Dugon did to Kairi. But Kairi appears and says nothing happened to him. He doesn’t understand what Tooma and Umika are talking about when they express their worries, but Noel figures out what’s happened. Dugon Manattee put a spell on Tooma and Umika, not on Kairi. Dugon’s power amplifies people’s worries. Tooma and Umika collapse to their knees in disbelief. Noel points out to Kairi that Tooma and Umika had to have already been worried about him for Dugon to have anything to amplify. He asks if Kairi’s done something to worry them this way. Kairi thinks about his insecurities with Keiichiro being an older brother to him. Kairi realizes Tooma and Umika can see right through his facade. Noel says he’s a little jealous that Kairi’s friends would be as worried as they were for him. Kairi thanks “Blue” and “Yellow” for worrying about him. He and Noel morph. Both Kairi and Noel go Super. Kairi is able to grab the Collection Piece before he and Noel finish Dugon Manattee’s first life. Tooma and Umika are released from the worry spell. Goche embiggens Dugon. The Lups hop into LupinKaiser Magic and X Emperor Slash with Lupin Magnum helping as well. LupinKaiser Magic uses some magic to multiply itself into all of LupinKaiser’s forms. They finish off Dugon. He’s been taking care of a stray puppy until he could find it a home, which he has. He apologizes for sneaking around. Noel and the Pats walk by on their way to Jurer where Noel says the Pats are going to treat him for defeating the Gangler. Noel plays with the puppy. A little bit of a silly episode. 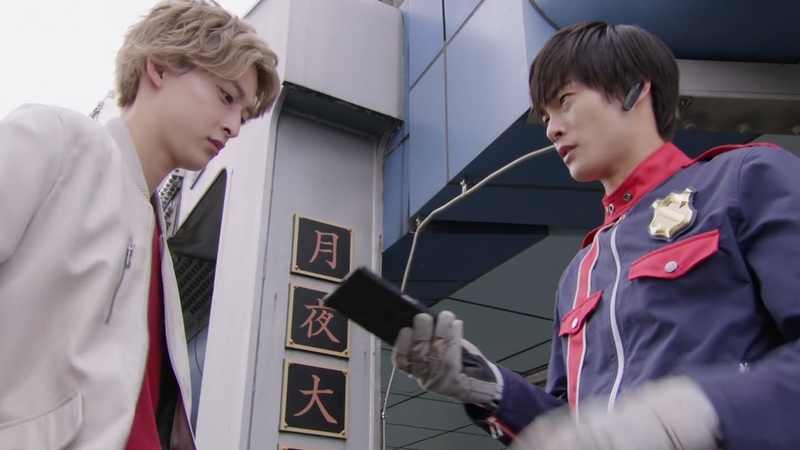 I definitely get what they were trying to do in terms of warming Kairi to Keiichiro’s efforts to be an older brother to him. 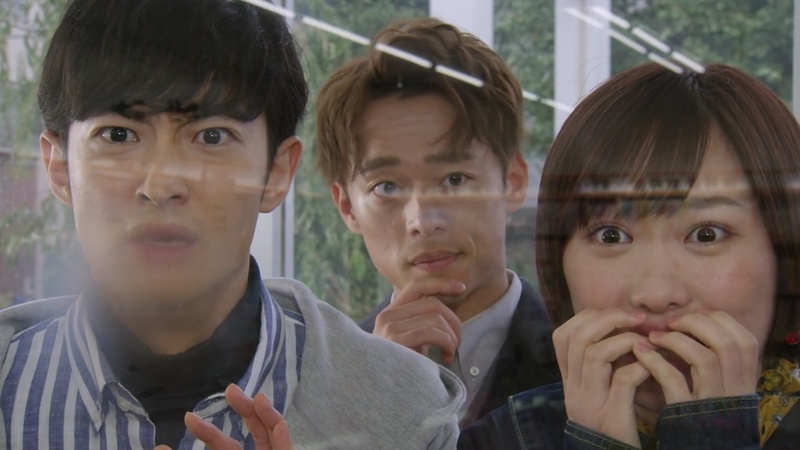 But I kind of wanted to see them play around with Tooma and Umika being suspicious of Kairi. I think the better power from Dugon would’ve been to make them paranoid about Kairi going about things alone. And then the pay off would’ve been Kairi actually doing things on his own for whatever reason. It would’ve been a good twist. 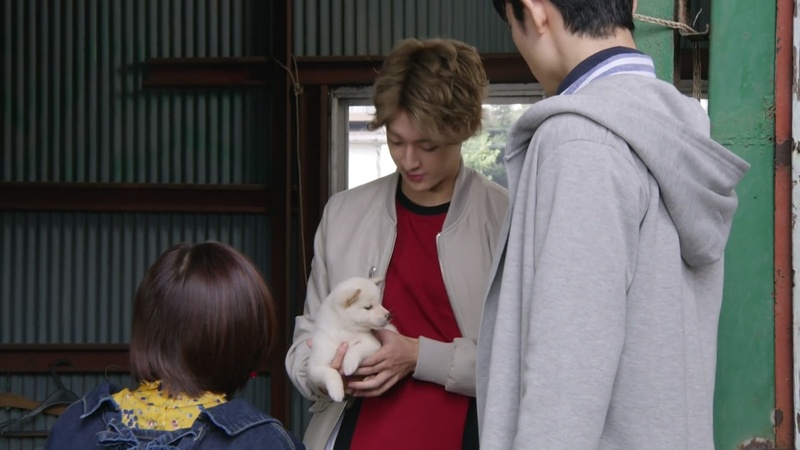 This episode, it was about Kairi hiding that he found a stray dog. Why so secretive about a dog? It was definitely a more light filler type of episode. 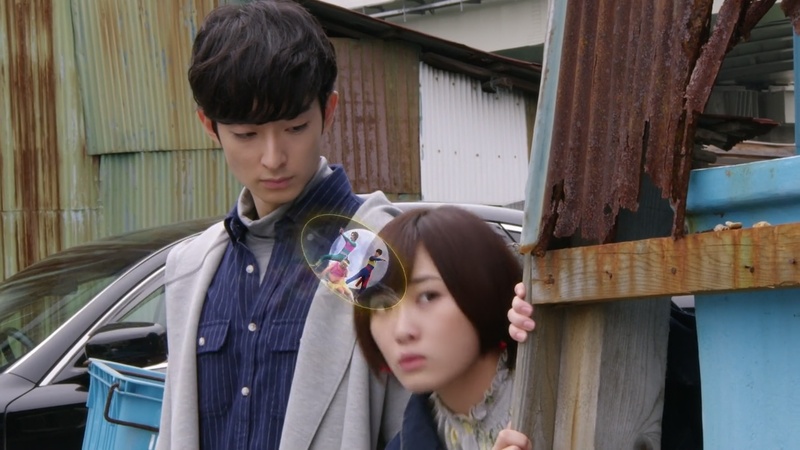 The Keiichiro part felt randomly tacked on at the end and a very underwhelming development (hopefully not resolution) to the Kairi-Keiichiro relationship. I guess it was nice to show Tooma and Umika truly worried about their friend. But I really do hate when Sentai and Kamen Riders refer to each other by their colors or Rider names and not their given names. It’s so impersonal and especially in an episode like this, it’s annoying when the story itself was more personal and emotional. I’m looking forward more to the next episode because at least we’ll be getting a different match-up with Tsukasa and Tooma in the underworld. Plus Zamigo pops up again for a few seconds. Overall for this episode though, it was alright. But things really should be ramping up by now. This kind of episode should’ve been early 30s at the latest. 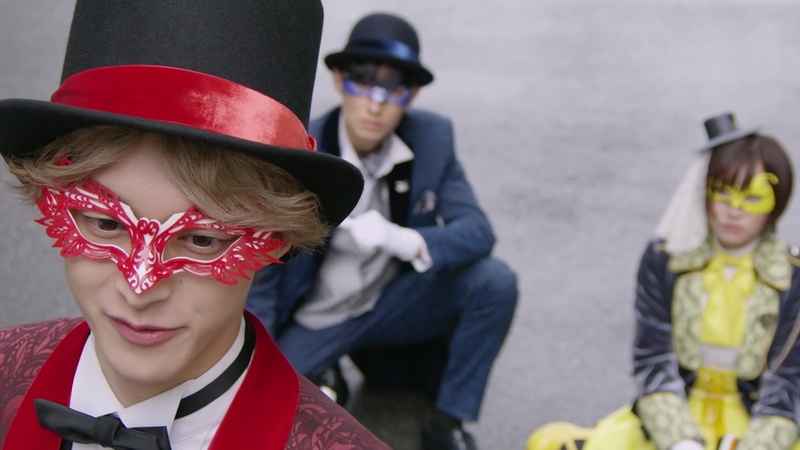 Regarding your opinion about Sentai and Kamen Riders addressing each other, well, in case of Lupins, they can’t just call each other by names even though Pats are absent, no civilians are around, even if it’s just them and the matter was personal. Plus, they are fighting a Ganglar. Doing that would give away their identity, considering they are wanted criminals by Pats and Global Police. They are not like most Sentai teams that doesn’t suffer identity crisis compared to Power Rangers. Though, I do agree on your point that they know each other and address by names rather than colour, which in series like Megaranger (because they are mere high school students so it’s justified that any other students or people cannot possibly know. Lupins are similar to them), Gaoranger (from beginning to the end always call each other by colour except for last episode) and Boukenger (initially, until the first half I guess, can’t remember). As for Kamen Rider, that would indeed be quite impersonal if they are already allies and the series don’t often suffer identity crisis like Power Rangers do but sometimes I don’t realised it in that kind of opinion because they interchange the terms quite randomly. For this episode itself, it’s kinda okay but this filler coming to the late stage was kinda disturbing when the plot of overall series (I’m referring to the part of Zamigo’s confrontation with Lupins) was behind schedule for more than 10 episodes. Zamigo’s appearances that was noticed by these Sentai teams after episode 10 would be episode 25 (only Pats and Zamigo just say hi bye) and 39 (Both. Fight Lupins for a bit then bye bye). That’s actually 15 and 14 episodes gap respectively. The gap was too long and in my opinion, the minimum should have been 5 but less than 10 if possible. Although I already mentioned it in the previous episodes, I think episode 39 should had come earlier, even if Lupins don’t have the latest power-ups. It’s because they are fighting their arch enemy and usually here’s what I thought in mind for series with this type of plot. Episode 10 (for this series) would be their first time fighting against Zamigo but they are saved because of Scissors and Blade ability, the second encounter would be their second time fighting, with an overconfident Kairi thinking he is capable of defeating Zamigo by himself but end up in total defeat and his friends injured, and caused him to resent himself or so before learning the deeper value of teamwork and trust (even if thieves prefer working solo rather than as a group). 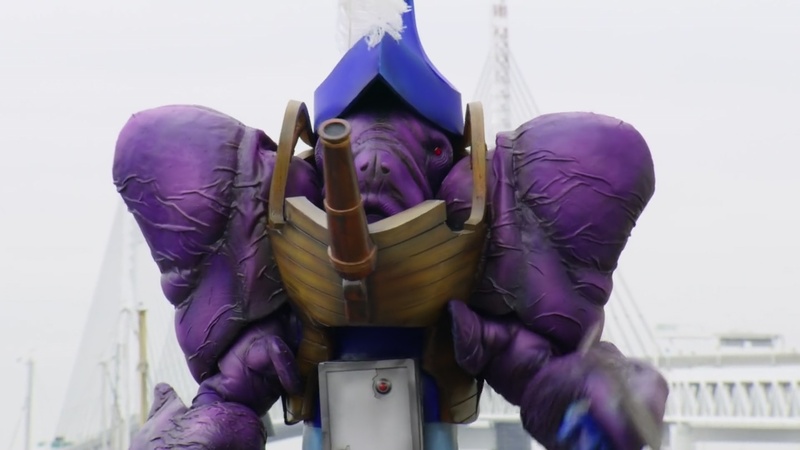 The third time would be their final confrontation with Zamigo, which it is acceptable for it to settle even on episode 39 because there are still Destra and Gauche to deal with before Dogranio. Plus, they could even fight a Christmas exclusive villains like in Go-Ongers. In this series case, I assume their final confrontation with Zamigo would specifically be on Christmas and I estimate it would episode 45 that falls on 23rd December 2018 (considering no other public holiday take place) because the Lupins to be were wearing scarfs and warming coats on the day they witness the apparent death of their loved ones. I guess that’s all I can say and think of for now. On the note, it’s nice to see Kairi took a small step to warm up to Kei-chan by showing the game the former was playing on episode 38. I just wish we could see it come into light by Christmas. Wait? Did Kairi calls Keiichirou by his name between episode 38-40? Did that really happen? I think this was the first time he called him Kei-chan? The first time he call Keiichirou Kei-chan was by end of episode 10 and Kairi had done that afterwards many times already.